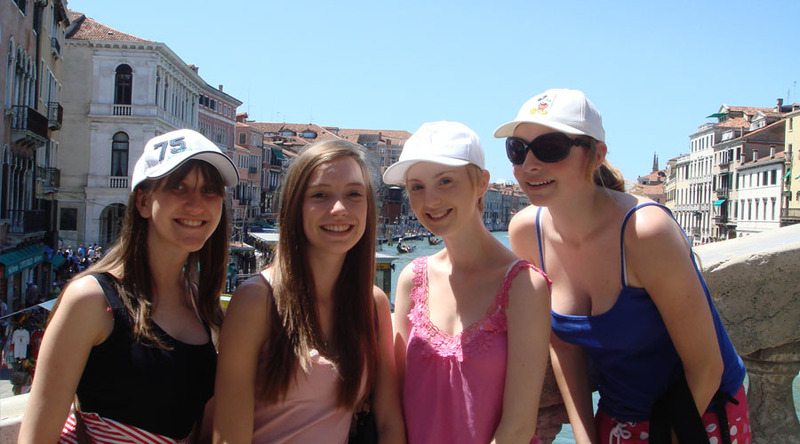 Regarded as being one of the most romantic cities in the world due to its abundance of art and culture, Venice is an amazing destination for a school trip. Explore weaving canals, beautiful plazas and stunning architecture and enjoy a balanced programme of visits to galleries, museums and concerts for a thought-provoking and stimulating tour. 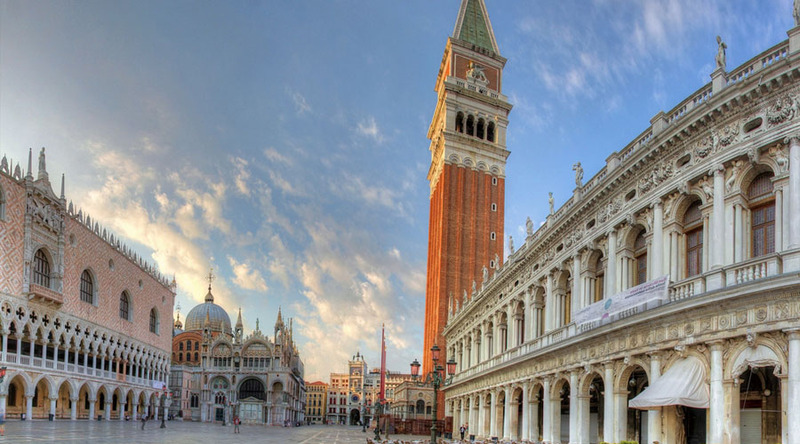 St Mark’s Basilica + Clock Tower: One of the best known examples of Italo-Byzantine architecture and one of the most original buildings in venetian architecture, these are two of the most significant Renaissance buildings in Venice. 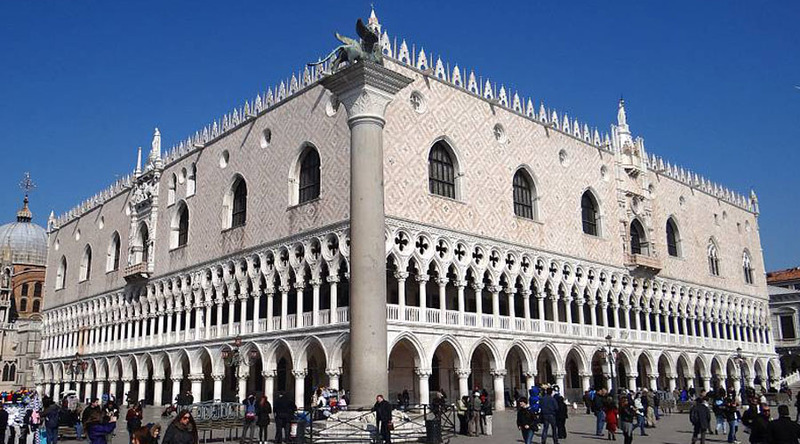 Doge’s Palace: a great example of Venetian gothic style, this palace was originally built as a home for the Doge of Venice. 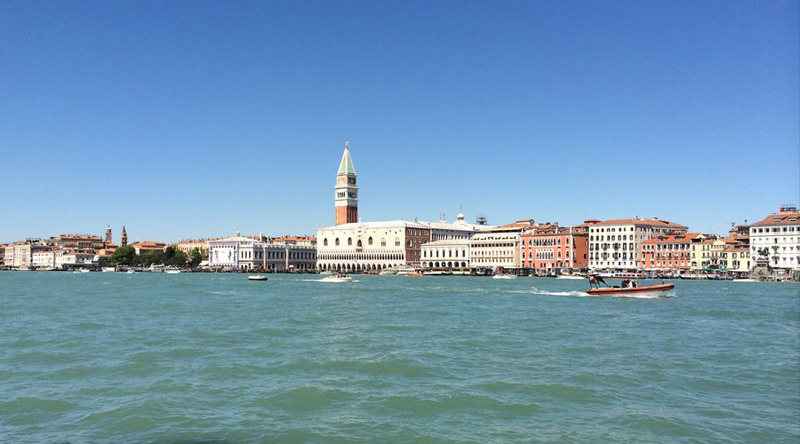 Now it is one of the most spectacular museums on offer in Venice. Islands of Murano & Burano: Take a day trip to Murano and visit the Glass Museum or to Burano for the Lace Museum. You will be based at a centrally located 2 or 3 star hotel. Close to the many museums and historical buildings of Venice, your high quality hotel will provide all the facilities you need. Morning departure from School. Afternoon arrival in Venice by air. Boat transfer to hotel in Venice. Time to explore local area. Dinner at the hotel. 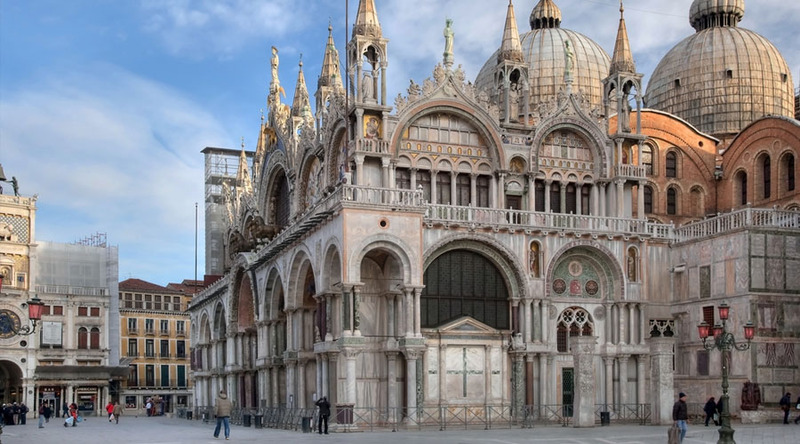 Spend your first day in Venice taking full advantage of your museum pass, see: St Mark’s Basilica; Doge’s Palace; the Correr Museum; the National Archeology Museum and the Monumental Rooms of the Biblioteca Nationale Marciana. Begin your day at the beautiful Gallerie dell’Accademia followed by lunch. Afterwards move onto the Musuem of 18th century art – Ca’Rezzonico. 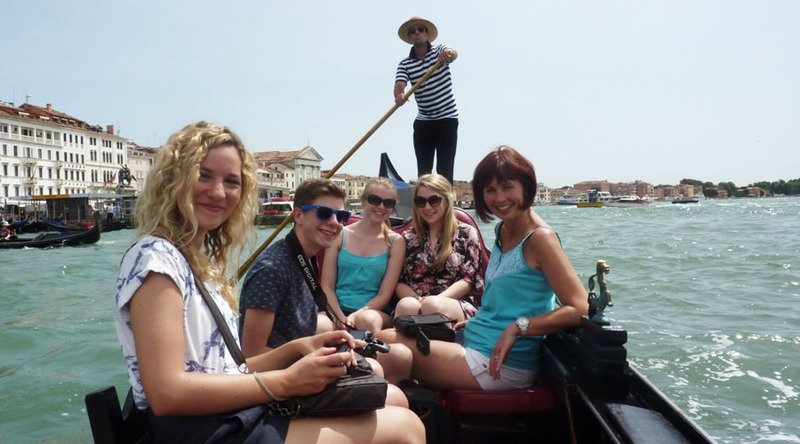 Spend your evening enjoying a pleasant Gondola ride on the Grand Canal. Free time to explore more of the city, with the option of visiting more museums included in your pass: Ca’Pesaro; Glass Museum; Lace Museum; Museum of Natural History. Boat transfer back to the airport for flight back to the UK and return to school.